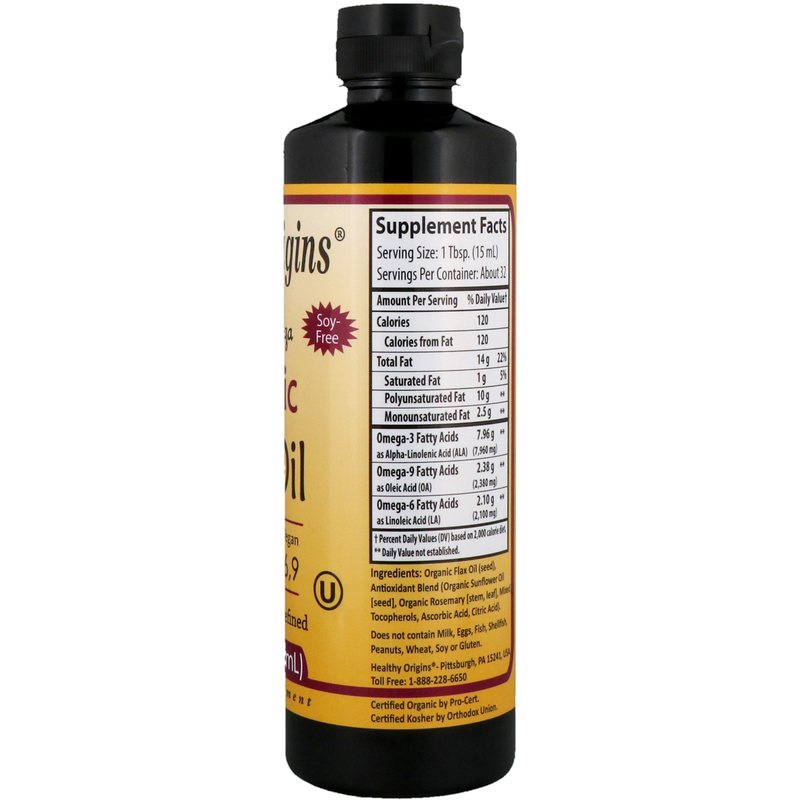 Healthy Origins Ultra Omega Organic Flax Oil is one of the richest sources of plant-based Omega fatty acids found in nature! 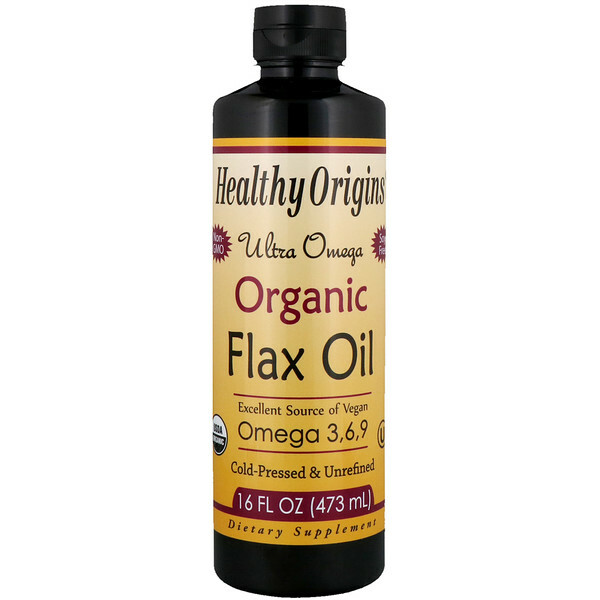 Ultra Omega Organic Flax Oil is cold pressed, unrefined, unfiltered, hexane-free and preservative-free. Take one (1) Tablespoon (15 ml) once or twice daily, or as directed by a health care professional. May also be added to foods and beverages, or used in salad dressings and spreads. Organic flax oil (seed), antioxidant blend (organic sunflower oil [seed], organic rosemary [stem, leaf], mixed tocopherols, ascorbic acid, citric acid. Does not contains milk, eggs, fish, shellfish, peanuts, wheat, soy or gluten. Manufactured with light-protective, nitrogen-flushed, BPA-free bottles. For optimum freshness, consume within 8 weeks after opening the bottle. †Percent Daily Values (DV) based on 2,000 calorie diet.